Welcome home to magnificent 308 Wood Street. 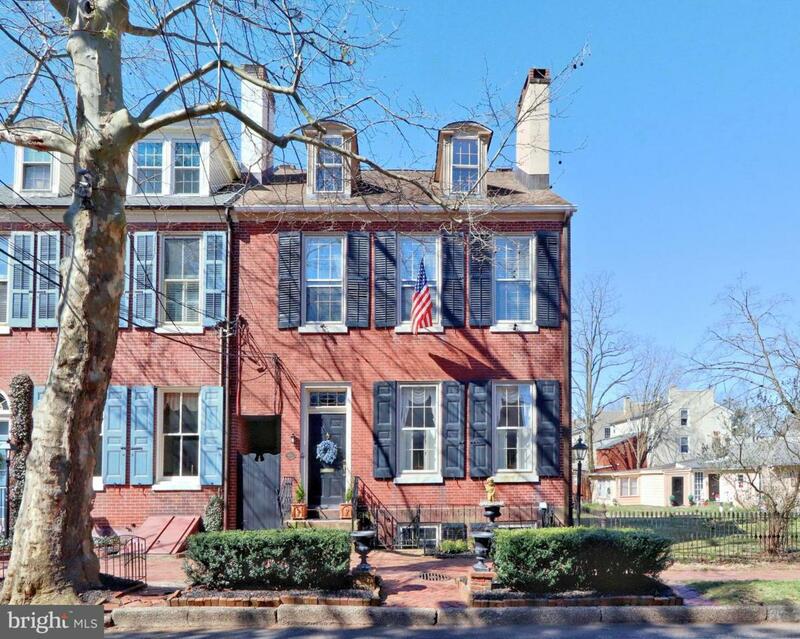 This 6 bedroom 2 full bath home in beautiful historic Burlington City has it all and is a block away from the incredible scenery of the Delaware waterfront. Go the other way and you will be in the heart of Burlington City restraint district with plenty of shopping and eating choices!! As you walk in you will be immediately stunned by the beauty of this home. 6 fireplaces in all, high ceilings, a gorgeous dinning room with chandler, step in to the pefect sunroom where you will want to sit for hours. The modern kitchen has granite countertops and whirlpool appliances throughout. ON the second floor you will be love the master bedroom complete with walk in closets and fireplace. Bedrooms all have plenty of space. Your family will have plenty of choices on the third floor where their is three more big bedrooms all with wonderful views. The fully finished basement is fit for a modern business with a beautiful elegant office separate entrance electric and heat. Perfect for the professional who needs to work and se clients from home! This is a very unique stunning home easy to show call and make your appointment today. You will not be disappointed!! Inclusions Washer Dryer Refrigerator All Fans And Fixtures All Window Treatments. Listing courtesy of Century 21 Alliance-Burlington.